25 73260-4299 - Handle Axle. 20 73260-2239 - Washer 5/16. 74310-2199 - Tree Lock Fasterner. 19 73260-2189 - Center Console. 23 73260-4509 - Rear Axle. 24 73260-4519 - Front Axle. 26 73260-4289 - Bucket Axle/pin. 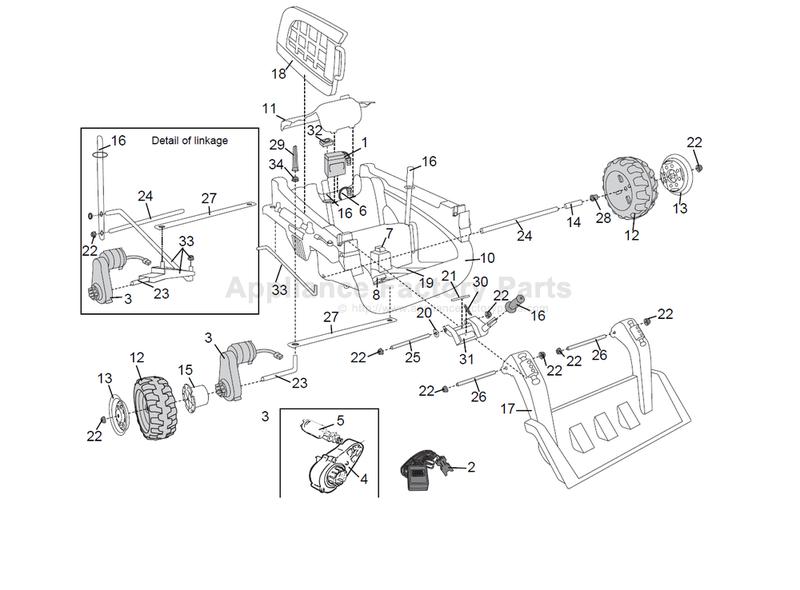 33 4000-0234 - Steering Linkage. 14 73260-2359 - Front Wheel Spacer.